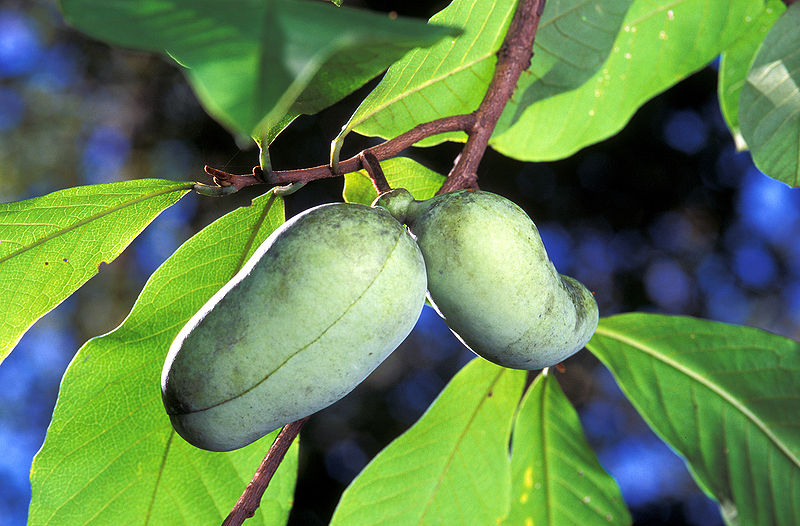 Widely adapted and tolerant of damp soils, our US native Pawpaw has been under-used as a landscape tree but is attracting substantial attention. This genus is the exclusive food plant for native Zebra Swallowtail butterfly larvae in the East. Nodding purple flowers are unlike those of any other American tree - curious with their three-lobes, pollinated by flies. The perishable fruits have a memorably delicious taste, are nutritious, and resemble the tropical mango. Bold leaves turn a pleasing yellow in autumn. Our seedlings are greenhouse-grown in root-pruning containers for excellent transplant success.